Babies and Sign Language Contest F.A.Q. 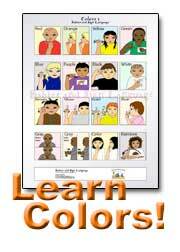 All family-friendly, baby sign language stories are welcome! 1. In what language can we submit our experience or story? 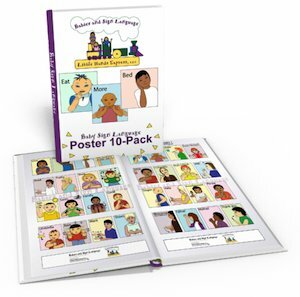 This website (Babies and Sign Language Com) is written currently in English only, as are all editors of this website are English speaking/writing. If you would still prefer to submit your baby signing story in another language, please be sure to include an English translation at the bottom of your submission. 2. Is there a word count requirement or restriction on number of words? Great question! Please be sure that your typed submission is more than 100 words (submissions less than 70 words will be returned and asked to extend word count). 3. How many winners will be announced? How will I know if I won? 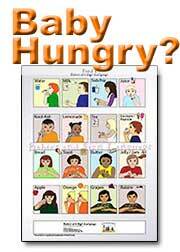 This current Baby Sign Language has two prizes: One for first prize, and one for second prize. 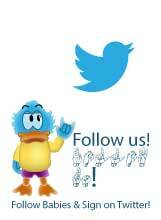 We will first contact you via e-mail to notify you directly. Please be sure that you've entered no e-mail typos upon submission! c. Via the Baby Signing Contest page itself! 4. Can I send in more than one baby signing story? I have 3 great stories: one is about my 8 month-old son, one about my 21 month old, and another write up on our favorite baby sign language board book(s). Thank you very much for this question. Yes, you may submit more than one baby signing experience, but we'd like to ask that you limit to no more than 5 submissions per household family, please. 4a. For any future Babies and Sign Language Com contests, could I submit a duplicated story entry to the newer contests, (using a story I submitted for another previous online contest)? Thank you again for another great question! Please see #4 about this also. 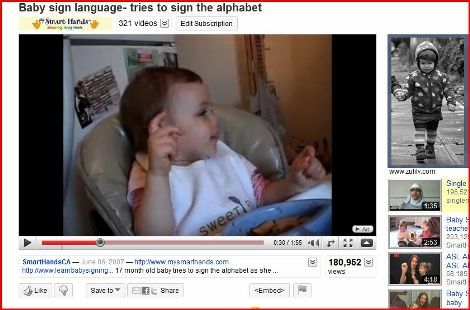 All submissions to any contest on Babies and Sign Language.Com's website must always be original stories only. This counts for the scenario that you've asked above re: reusing the same submission for a later contest. Please be sure that anything typed into the Contest Entry Text Boxes are original material only please. Thank you! 5. How will winners be picked? Winners are chosen based on the percentage of votes and comments (by other visitors to this site, as well as family and friend comments) on entry / participant stories, as well as combined with editors choice (to be sure that the contest remains fair). Highly encouraged are submissions that include photos and/or videos to enhance your stories, baby sign language product reviews, and/or experiences. These type of stories that include a photo or other helpful visual really appeal to those who are new and/or considering baby sign language. Our goal is to delightfully encourage more parents, grandparents, childcare providers, and pediatric caregivers; to use sign language with their infants and toddlers - by having these lucky parents see the amazement here at this Baby Signing website with their own eyes! 6. How do I submit my baby sign language story? When you click here, you will see a (text) box that will let you type right into it, which provides you with space to type your baby signing entry / story. 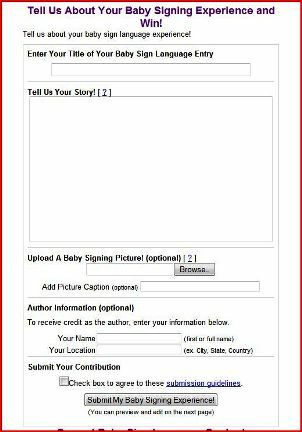 Simply type in your story and then click the "Submit My Baby Signing Experience!" button at the bottom of the box. Is your video on youtube? Simply copy the embed code (below your video) and paste that same code into the submission box. Please, of course, only submit your own Youtube video that you captured on your own. Currently, we can only accept videos that are in Youtube, Google Video, or similar format type of embedded videos. If you have a video made via your cell phone, or other device, please upload it to your Youtube account first, please, and then see the instructions above for posting your baby signing video to the contest entry box, via Youtube embedded codes. 7. Can I use a story that I used on another website? Hi, please only submit original stories for this online contest. Thank you! 8. Can I ask my friends or family to vote on my baby sign language contest submission? Sure! You can ask your: family, friends, facebook fans, blogging buddies, etc! 9. What is the deadline for this baby signing contest? We will accept all submissions until August 19th at Midnight EST and announce winners first thing Friday morning, on August 20th, 2010! 10. How will winners be announced? Please note, if you cannot agree to these rules, we will not be able to accept your entry. 4. Please submit original content only. We do use a special software to check your submissions online to be sure that they are not located anywhere else on the internet. 5. Please be sure that your entries do have more than 100 words. There is no limit to how many words in excess, as long as there are over 100 words typed (or pasted) into the text box. Ready? 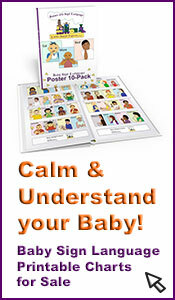 Click here to enter Baby Sign Language Contest now! Good luck! Looking forward to your terrific baby signing stories!